A wonderful and classic piece, the Grand Cast Metal and Cherry Achiever Award would look beautiful adorning any desk or mantel! 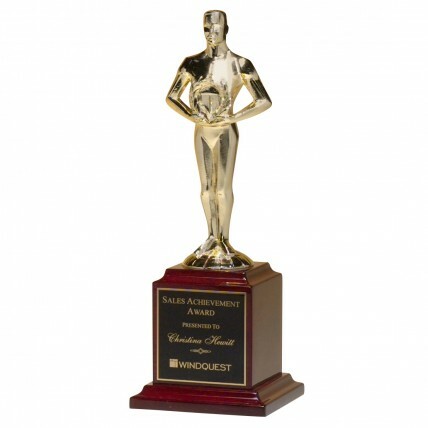 The gold tone, cast metal achievement figure sits sturdily on a high gloss, solid rosewood base. This trophy is an elegant way to award and recognize anyone for a job well done! Included with this award is free personalized engraving. Available in two sizes!